The funfair has always been a popular haunt for slots developers in need of some inspiration in coming up with new ideas, and Gamesys certainly had that in mind when they brought out their Fun of the Fair slot. On the reels in this 5-reel, 20-payline game it’s all symbols from the old-school fairgrounds, so we get a helter skelter, a merry-go-round, trumpets and drums from the fairground band, plus the Jack-through-Ace icons. The Lollipop is Wild and substitutes for all symbols other than the Scatters. 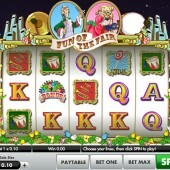 Five Wilds pays a juicy 10,000-coin jackpot if you hit five across the reels. Betting runs from a wallet-friendly $0.01 to $10 a coin, with a maximum bet of $200 a spin. There are two Scatters in Fun of the Fair. The Strongman icon pays anywhere, with five anywhere on the reels paying a top whack of 100x your total bet. Hit three or more Bonus icons on the reels, meanwhile, and you’ll trigger the multi-choice bonus round. Depending on where the wheel stops you’ll play the Duck Shoot game where you have to aim and fire little duckies to win more cash. The Punchball bonus is an instant win bonus where our strongman tries as hard as he can to pummel the punchball. Finally, the horse race bonus round requires you to select a racehorse to see off in the main card race. 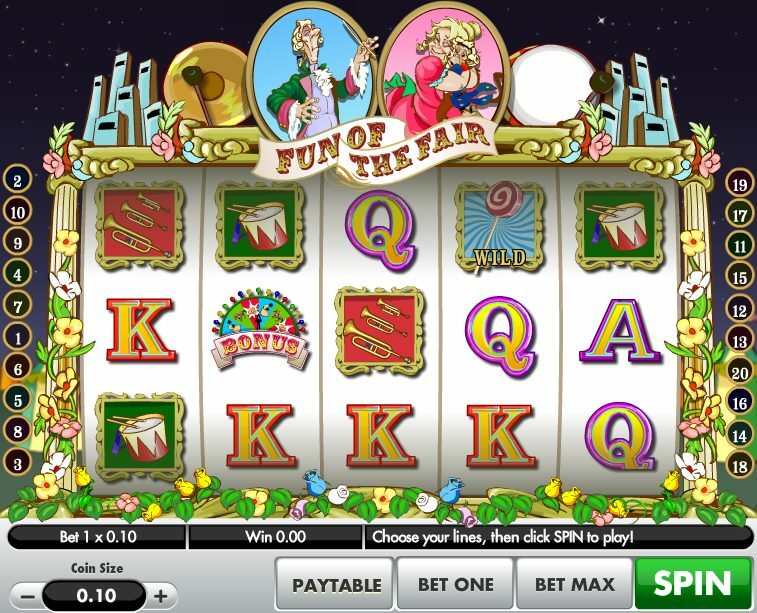 If Fun of the Fair looks a little familiar – certainly in terms of the bonuses it has to offer – then it’s no accident: the game borrows heavily from Cayetano’s carnival-themed Fun Fair online slot, but in that game you have a massive six bonus games to choose from. Still, both games are worthy of some quality time, while Playtech’s fun-fuelled game, A Night Out is a decently diverting alternative.